No clue there was Linux inside this tiny thing. I hope Nintendo reconsiders future releases with at very least the ability to buy more games. As is, I'm super happy with my little nostalgia box. I honestly love this thing, how simple and well done it is both hardware and software wise. I can see myself getting one for my bedroom and just playing near my TV like the old days. also an excellent game selection, hundreds of hours of fun for 60 bucks? SOLD! Not interested in one. I already have the games that I want from the Virtual Console on Wii, Wii U, and 3DS. Another intentionally-manufactured Nintendo supply disaster. Anyone who's thinking of paying more than $200 for a Mini should consider the AVS by RetroUSB. It provides HDMI output, adjustable aspect ratio, adjustable scanlines, built-in Game Genie codes, online leaderboards for games with high scores, and it plays all original carts, repros, flashcarts, and homebrews. 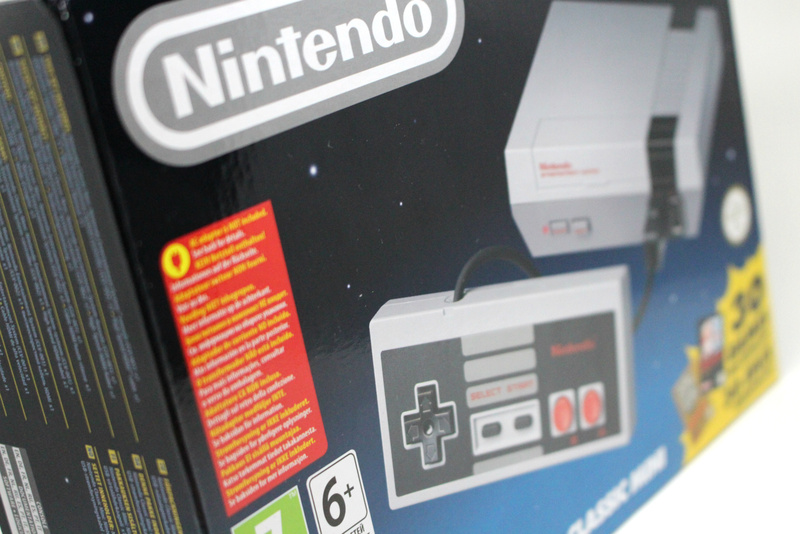 Best of all, unlike the Mini and the Retron 5 - the AVS is not an emulator. It uses FPGAs to mimick original NES hardware to near perfection, and plays games straight off of the cart - just like a real toaster! The AVS also supports Famicom carts and the Famicom Disk System. I would definitely recommend! Why was this made in limited supplies? Nintendo should known better to make more to meet demands. Oh wait, it's the Amiibo fiasco all over again. At this point I should just rather buy one of those clone consoles that might even allow games on SD. It should be good. I'll reserve final judgement until mine arrives but I'll probably dock points for the short controller cord and not having superior versions of some games there like Ms Pacman instead of the original. Oh and it not being capable of expanding its library. The price is a little high too. Probably a 7 or 8 out of 10. Pluses are the games have never looked better and the save restore points. "as the stretched 4:3 mode suffers from some strange "shimmer" effects when the screen is moving..."
The emulation is not faultless, the sound has problems. Before connecting it and trying it out - I used two extension cables from the gamecube to extend the cord's length. Now I can sit approx 3.7 meters away from my TV. I don't mind getting up to hit the reset button cause I plan to play just one game per sitzing till I am done with that game I started with The Legend of Zelda and I am currently at the fourth dungeon. Kinda sweet that we have the scans of the original manual - now I have finally the map of Hyrule. Much easier to play now. My original mine work better!! I'm going to be a dissenter. The emulation seems to have sound issues, though they may not bother most people. Also, I heard reports of the crt filter being pretty awful. I prefer rgb-quality image with basic scanlines, not fuzziness or smearing. I have no nostalgia for crummy picture. @AlienX Anytime you scale an image to something other than an integer scale, you get shimmer. 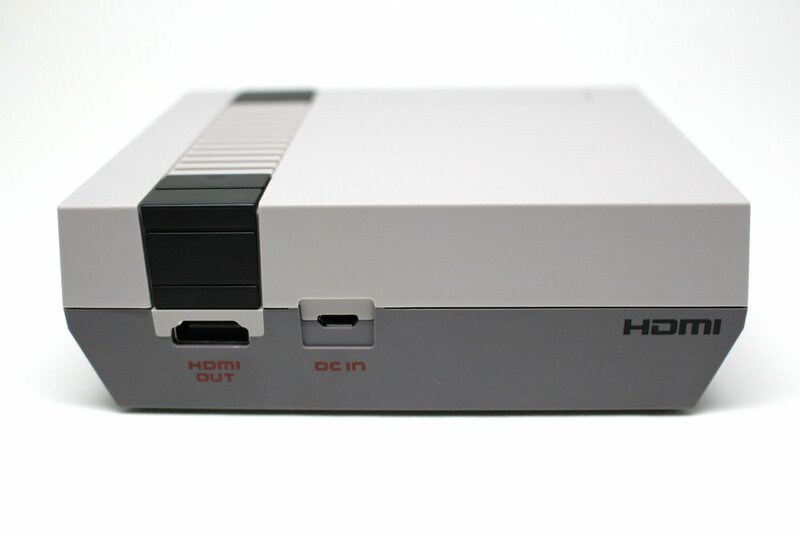 The 4:3 image of the Mini looks to be an NTSC full-screen approximation. "True" 4x3 pixel scaling looks quite a bit fatter than what the Mini pumps out. I put mine in my sons room for him coming home from school, he had no idea and he's been gleefully trying out different games, laughing & declaring 'this is so weird!' He's only five, I'm enjoying watching him as much as anything else! We be using the Wii controller. No big deal. I got mine but its Xmas gift for my Nephews. I'm going open that thing. It's already sold out at my local Target,Wal Mart,and Toys R Us! I heard Amazon will start selling it at 5ET,maybe I'll get lucky there..
For a unit with an RRP of £50 I cannot find anyone selling it at this price. The cheapest I've seen on Amazon is £120! It's like the Amibo all over again with people ordering them and then scalping others for three times the price! I'd rather wait for the switch virtual console and by the games I want separately as it will be cheaper than buying a NES mini in the UK. I even looked for the Sega Genisis with the 80 games. UK RRP is £59. Amazon price £90! It's not for me personally, i still have my old NES with games, but i can imagine the "recapture my lost youth"-crowd loving it! Jesus, these scalpers. $10,000 on ebay. Donald Trump presidency is sending prices into apocalypse levels, stock up on amiibo, stock up on your controllers, hold onto your joysticks. SNES and N64 mini classics all day long man. Why does Nintendo make it so freaking hard to buy their products? I set $70 aside for the NES Classic and a extra controller. I just put it on my Xbox One account, Microsoft has no problems taking my money. I will not be buying one new, I will wait till I can buy one used from Amazon Warehouse. Nintendo will never get another penny from me. Never have I had this issue with Sony or Microsoft. A pretty spot on review to me, and I'm sure a lot of people are going to get a whole lot of joy out of this. 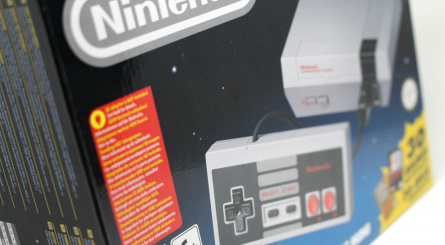 I'd probably buy one too if I had some money and a TV that wasn't SD and totally out of date, to the point I couldn't even connect this NES Classic Mini to it regardless. 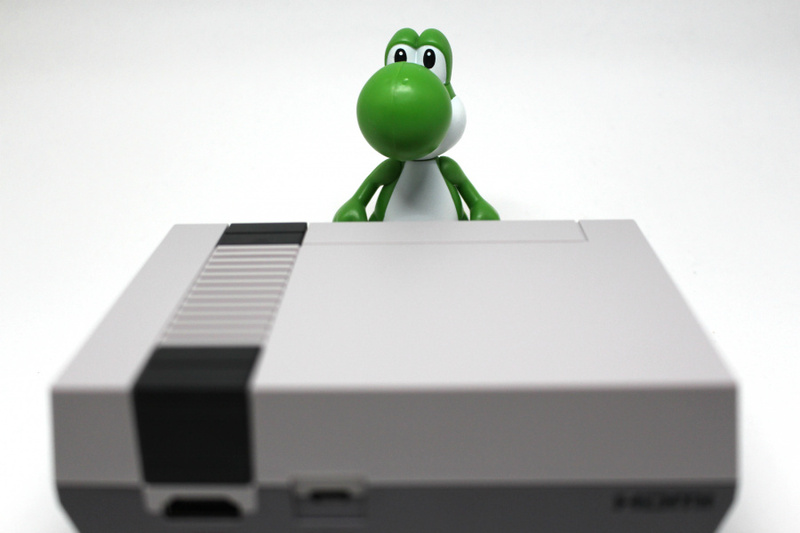 But I'm really waiting on the almost inevitable SNES Classic Mini anyway, and I hope it comes with the few little niggles raised with the NES in this review fixed: That would at least mean making the stupidly short controller maybe three times the length and ideally adding the ability to return to the main menu by pressing Start and Select together on the gamepad. Also, including a power adapter in the box wouldn't go amiss either. The option to additional use the controller either wire, with zero lag, or actually detach the cable and use it wireless would be pretty sweet too. And, taking the total number of games included up to say 50, or in a dream scenario maybe 100, would be really, really, really appreciated. But the last two really are probably just wild dreaming on my part—as amazing and near perfect as it would then be. They should have made this a handheld/console hybrid like the Sega Nomad from 20+ years ago. It had a screen and you could play it on the go but also plugged into the tv and let you play that way. Also it let you put in your own cartridges instead of a group of "one size fits all" games that not everyone likes. I still have & play my Nomad. And I still have & play my original NES which renders this new one useless to me, as I have a much better stock of games than what this unit has on it. @StuOhQ That's wrong, the "shimmer" or scrolling artifacts as I prefer calling it won't happen if the scale is the same aspect ratio as the source, because the 4:3 setting doesn't maintain the aspect ratio you get artifacts. DS VC does maintain the aspect ratio(no scrolling artifacts) but because most layouts are not integer scales you see uneven lines, usually noticeable on the default DS font. In any case there's a number of existing VC titles that include the filtering I described, most of which were done by M2. Luckily I managed to pre-order a console & spare pad, and they arrived today. I'm very happy with it, it's a fantastic unit! Very high quality build, even smaller in real life (photos and video can't really replicate the experience of holding one), games look great and play exactly as I would have wanted them to. I've not noticed a "shimmer" in 4:3 scrolling at all, and I've played at least an hour of Mario 3 in 4:3. Also, the crt filter looks pretty authentic on my TV (not as ott as it looked on YT vids), though personally I prefer the clarity of 4:3 and pixel perfect. Great selection of games as well, pretty much all the essential titles in my opinion, only things I personally miss are original Contra, Castlevania 3 and a few Rare & licensed titles, but I'm more than happy with what is here. The games that are here play far better than the VC versions I have and playing them with an authentic pad is awesome. The pads seem slightly lighter than I remember, but are high quality & the buttons and dpad are perfect. Yes the controller wires are short, but using only the USB & hdmi cables included with the unit, myself & my kids have been sat around 6ft from the tv. Feels kinda cool to be sat cross legged upfront of the TV like the old days. I already have super long hdmi cables so as soon as I get a USB one to match, I'll be set to sit on the sofa and play too. Controller extensions are also an option, but I'm finding that I quite like having the console within arms reach. Personally, I like having to press the reset button to change games and save, it feels more authentic an experience, and also encourages you to spend more time with each individual game rather than "channel surfing". The main negative point in my mind that I've not seen anyone else mention is the packaging for the extra controller. The main packaging for the console is absolutely perfect, looks great, and is easy to open & unpack without damaging - just unclip a cardboard tag. The packaging for the separate pad looks the same, but it is made of much thinner cardboard and is literally glued together. It is VERY difficult to open without damaging. I ended up using a heated pallet knife to melt the glue and slide under the card. I know many people won't care, but as a collector, I like to keep my boxes for display and possible future resell value. Ah, leave it to Nintendo to have a hot item and then miss the field goal by not making enough units to meet demand and allowing Ebay and other people to resell a 60 dollar retro system for hundreds of dollars above the retail price. I love Nintendo, but that is them in the modern age in a nutshell. They have a brilliant idea, and they somehow manage to fumble the ball somewhere along the way. @nesrocks Most people wouldn't even notice the very minor sound problems. To me it doesn't really matter because everyone who cares about that stuff (inclding me to a certain extent) already own an original system+cartridges. The emulator on this is still really good compared to the Wii U and 3ds emulators. @HammerKirby True, but on some games the difference is very strong, not minor (on other games it isn't noticeable, as you mention). Still, can't call it faultless. I love over reacting people like you! Sensational! @nesrocks Huh. I noticed the difference on Kirby's Adventure and SMB3 because I know those games really well. I don't know any of the other games well enough to tell. Now if it were SNES,I could probably easily notice a problem like this. Little overpriced imo. Should've been around 40 bucks considering it only plays the games listed. 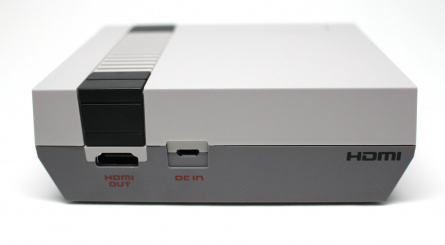 Would've liked a combo unit that has access to the VC Nes library in addition to playing actual cartridges as well. I'm sick of everyone complaining about the cord. It was made so you can use it with a Wiimote and you have to be close to the console to press the Reset and Power buttons, so what is the point of making a longer cord? 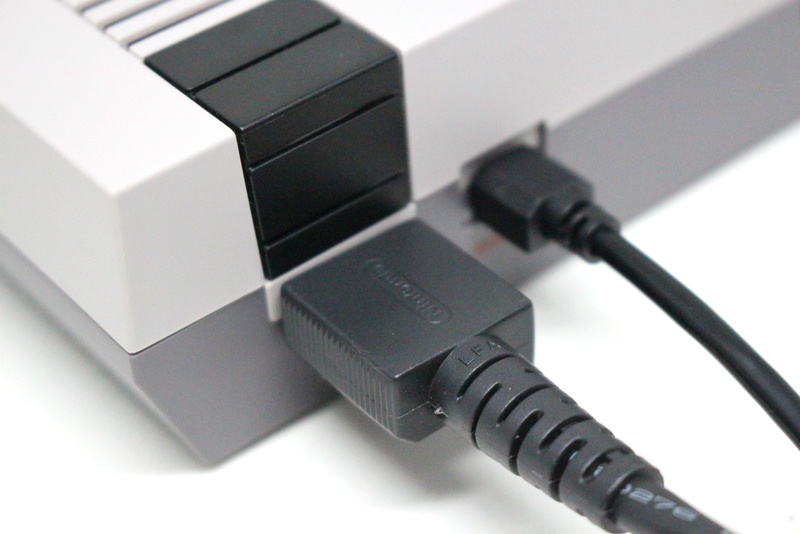 @NTELLIGENTMAN While I too am tired about the cord length your reason doesn't make sense considering '80s gamers used to have to get up and move to the NES to turn the power on/off even with a longer cable. If anything the idea was to play on a PC with monitor or laptop on the go. As in leave on your work desk or through in your bag kind of arrangement. Stock issues, delays, bugs, hype over an extra pixel; yeah this is why I've practically stopped gaming altogether. Its not barrier to entry, its annoyance to entry. Its death by one-thousand cuts. No one is ACTUALLY paying the ridiculous scalper prices right? I mean in this case it makes absolutely no sense. You could buy and actual NES and games for the prices people are demanding, some games CIB even. I'm gonna keep my $100 and put it toward the Switch. I still own my trusty Famicom (and equally trusty CRT TV ), with a whole lot of cartridges, so I'll pass on this one. Though I can clearly see some neat features, and why it's very appealing to the gamers out there. I'm loving the success of the mini NES....all of the hype around the PS4 Pro (which I'm getting) and the need for crazier graphics--and it's this little box that shoppers are going nuts over! I have friends on my FB feed dying to get it for their kids! I hope it's this year's Tickle Me Elmo. 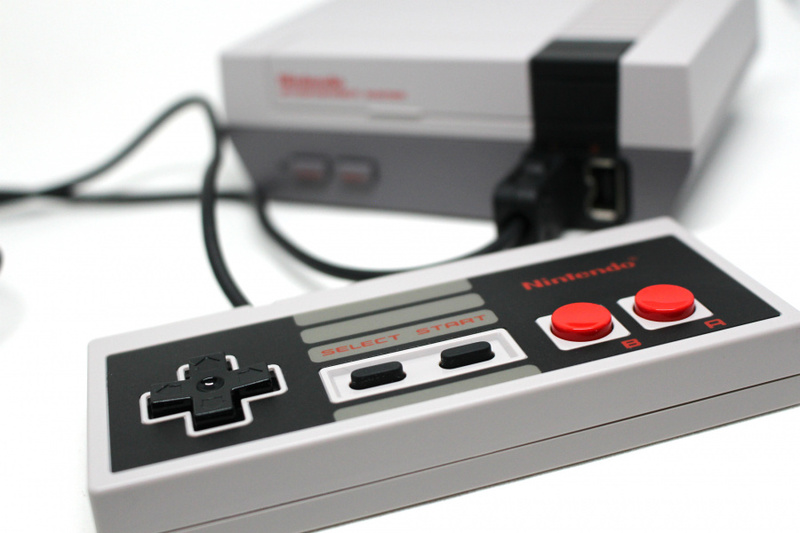 I love my mini but the d pad is squishy and crap compared to the original nes controller. Meh... 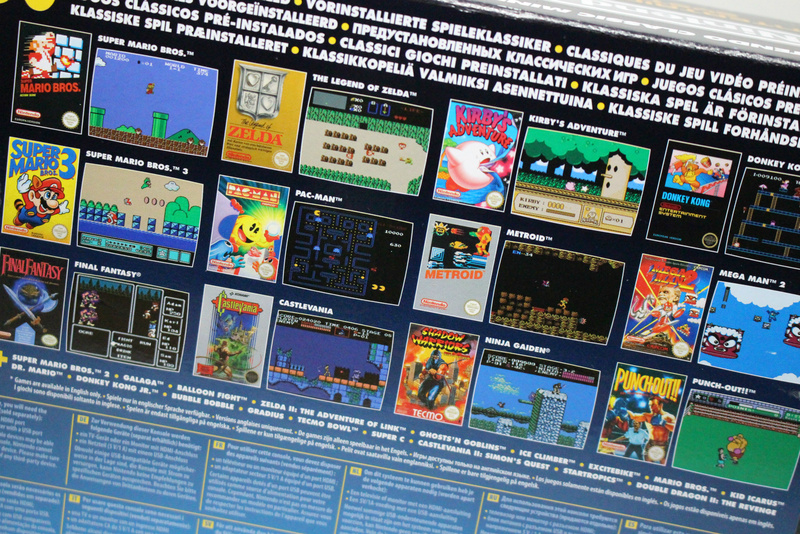 I'll just stick to using a PC to emulate the entire catalog of NES games. 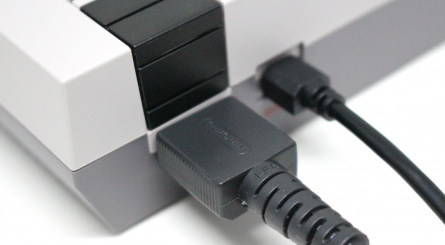 Maybe I'll also buy an adapter to plug in an old NES controller too. F you Nintendo, and your corporate greed. Come on, how many times do they have to resell old games at such high prices? Its ridiculous. I would actually have bought one if it had the entire catalog on the darn thing, but no. Hopefully the fact this is a hit they are already working on a follow up! hope the super nes gets the same next!! @Nathan How is this greedy on Nintendo's part? I'd say the console plus 30 games at 60 bucks is a pretty good deal. That's two dollars a game, before you even factor in the fact that it comes on such an attractive looking console. They are much more reasonably priced compared to the Virtual Console releases. 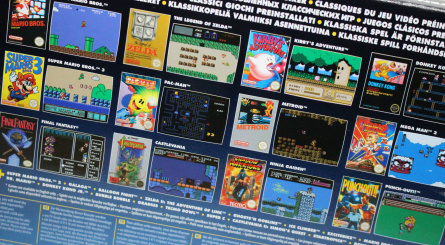 And there's no way they could get the licensing for every NES game ever released. I'd say you're being a little unreasonable here. @Baker1000 This is what you, me and most of my friends are hoping but... will Nintendo listen? On top of that they didnt even manage a 100% sound emulation. I guess thats why this half-assed emulation toy effort has only the "Official Nintendo Seal" on it and not the " Seal of QUALITY". No indication as to speed, but should be clocked at 1.2GHz and 500MHz. So overall, poor effort and why? Cause its exactly like other retro-emulation solutions just done worse. The hardware specs are more than enough to emulate the NES and if you are running it on android/linux anyway, just install one of the numerous emulators who fix above mentioned problems. So here you go, this product just has a Nintendo name on it but could be just as well any other generic cheap knock-off .. you wouldnt tell the difference on screen. How long it took to design this? 5minutes? Nintendo could have just as well gone to alibaba.com and have this made in few days with zero of their own input, cause thats what this is. 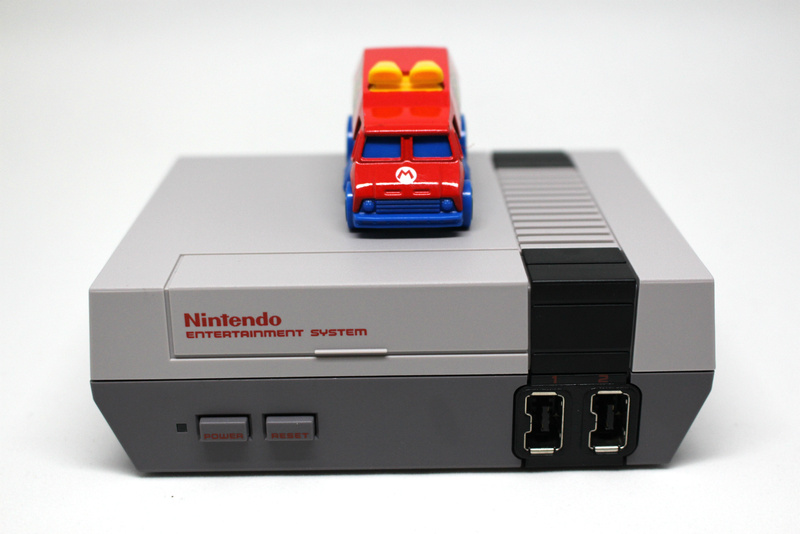 Funny that this "NES Mini" is technically more powerful than a "New 3DS" and virtually fails at even hinting at it and the power wont be ever used. I agree with some who say this is just a marketing trick. I've been mixed on this, but I guess I'll buy it as a cool collecter's item. Still wish they took a page from the plug and play genesis and at least allow it to play cartridges. Thankfully, the emulation quality of the NES Classis seems to be 20x better. Ruining peoples' eyesight by forcing them to sit close to the TV is part of Japan's plot to create an opportunity to bomb Pearl Harbor. Ergo, previous attempts at VC emulation were deliberately made lackluster to ensure the Mini's success. And the stock shortage is to sow conflict and distrust. It won't be long before their operation is ready to take wing. All will be chaos, and contemporary cartoons will be transmogrified into offensive propaganda. Hope you're looking forward to seeing Steven Universe take on slanty-eyed, bucktoothed caricatures, 'cause it's happening! I have to say I'm really enjoying this tiny console. I love the CRT filter too. But, like it's been said, the controller cord length is a bit of a problem. Hopefully amazon gets those two cord extenders I ordered back in stock soon. As for games, I'd say the library is pretty solid. The only game I'd really replace would be Ghosts N' Goblins. I'd probably replace it with either the original Mega Man or Ducktales. Never had the pleasure of playing the original variant of Ducktales. I don't understand why Earthbound 🌎 didn't make the cut? @Meaty-cheeky Well, it's a miracle we even got it on the Wii U in the first place. Already waiting for mine, it should arrive today. F*cking scalpers, and silly people to buy it overpriced. Just wait, for God's sake. When the SNES Mini comes, because it will come, I think I'll pass on that, because I can imagine a selection of games of which I already own more than a dozen. My collection lacks Zelda ALTTP, but I have it on the Wii U Virtual Console, so... NES Mini yes, the next ones (N64 even) it's a no from me.